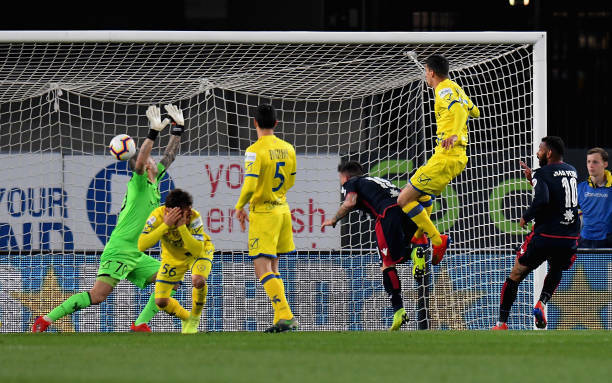 Cagliari eased their relegation fears in Serie A with a 3-0 win over 10-man Chievo, who remain rock bottom of the table. 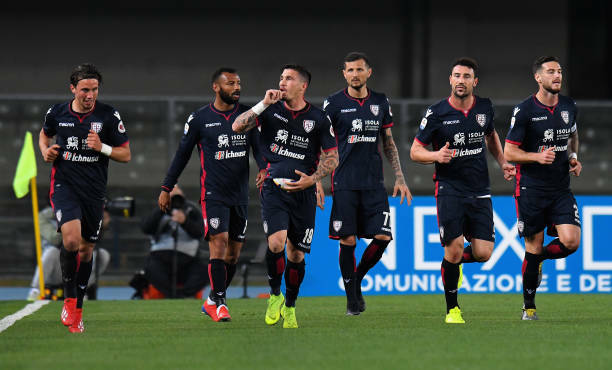 Fabio Pisacane, Joao Pedro and Artur Ionita scored in the first half to give Cagliari their first away win in the league since September, and any faint hopes of a Chievo comeback were ended in the 52nd minute when Fabio Depaoli was sent off for a second bookable offence. Chievo made the brighter start but it was the visitors who took the lead with their first significant attack after 16 minutes when Pisacane headed home from Luca Pellegrini's cross. The home side rallied and Perparim Hetemaj's shot from the edge of the penalty area was saved by Alessio Cragno, but Cagliari doubled their lead in style in the 33rd minute, Pedro firing home a first-time shot after Nicolo Barella's incisive run on the counter-attack. Mariusz Stepinski hit a post with a close-range header in the 38th minute but Ionita proved more clinical with a diving effort at the other end just before the interval to put the result beyond doubt.